Last night was Art Walk for the downtown Scottsdale galleries. Xanadu which is one of the galleries that represents me did a small feature on my work in Art Collector magazine and invited me to come in and do a meet and greet. 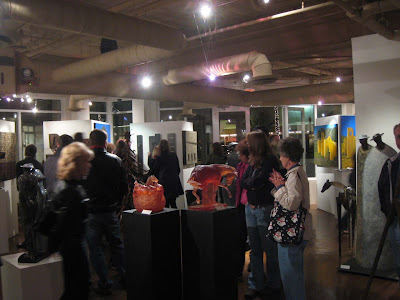 It's always a fun time and there was a great turn out of art lovers enjoying the festivities. 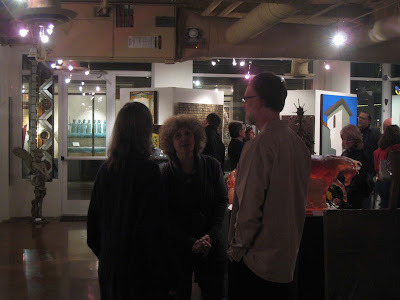 "Starving to Successful, The Fine Artist's Guide to Getting Into Galleries and Selling More Art" and "How to Sell Art". They're very informative and helped me a great deal in presenting my work to galleries. 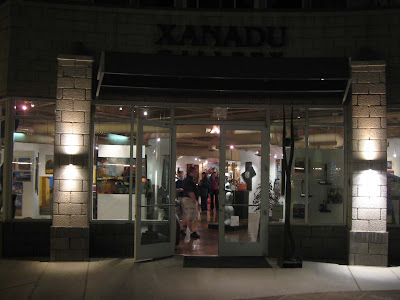 One of my favorite artists and good friend Dave Newman is also in Xanadu. His work is on the left wall. 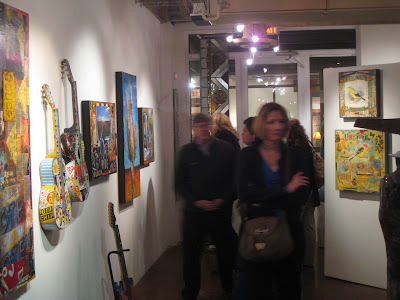 He does amazing mixed media art and his Fender guitars are to die for. 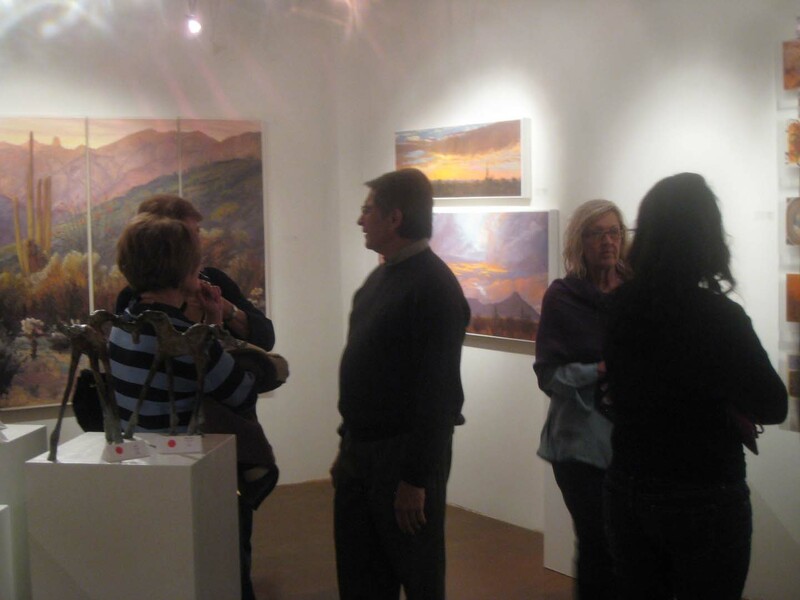 Another of my favorite artists is John Horejs standing in front of his wonderful landscapes. 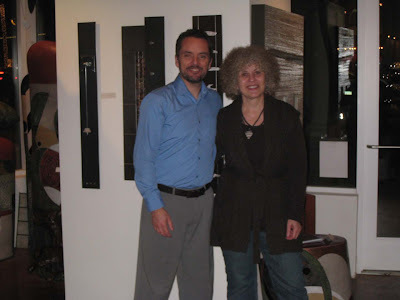 I was so pleased (and flattered) that Jeff Reich and his wife Farraday Newsome came out to see my art. Jeff constructs sculptural ceramics (they're very architectural so I especially like them) and directs the ceramic program at Mesa Arts Center. Farraday also makes ceramics and is known for her colorful, luscious forms and surfaces. Together they publish a great newsletter from their Indigo Street Pottery studio. I recently took a clay class with Jeff and am now adding clay to my steel pieces. Stay tuned for pictures in future blogs. 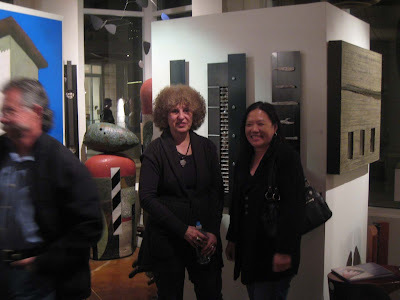 My good friend Janet Quan also came out to see me. She always makes me laugh and really cracks me up. As you can see it really was a great turn out. The gallery from the street. 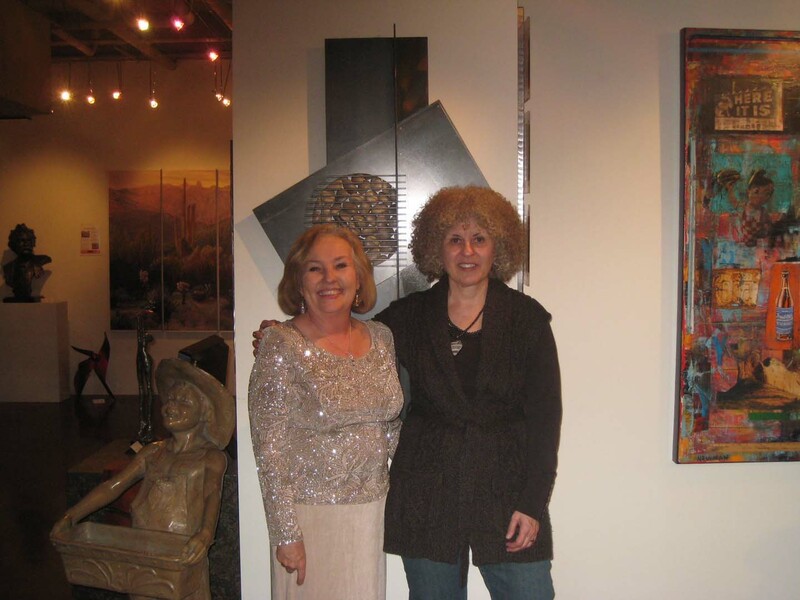 You couldn't ask for a better gallery director than Elaine. So supportive and always smiling. That's another one of my steel pieces behind us. Hopefully last night's energy is an indication of a great gallery season to come.